Love is in the air. Spend this Valentine’s Day on Cloud 9 with your loved one, gazing upon some of Australia’s most spectacular views from 230 metres above sea level. Make your partner's heart flutter with one of two dinner packages. 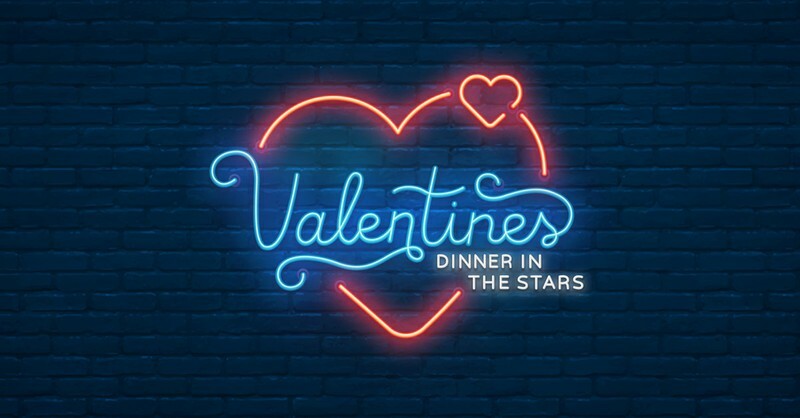 Enjoy a sumptuous three course meal with a three-hour beverage package of fine wines and craft beers to match, live music and a cocktail on arrival. Be serenaded by the acoustic tunes of local musician Dallas James. Dallas has played alongside acts such as Ash Grunwald, Grinspoon, Spiderbait, Wolfmother, and with his previous band, The Grains, which he fronted. Recently, Dallas has returned to his roots as a solo artist, gracing the stages of Splendour In The Grass and Blues Fest, and impressing coaches on Australia’s highest rating TV show, The Voice.